With a busy schedule and lots of things to work on, exercise is the last thing on my mind. But as the weather is getting hotter, it’s about time that I brushed up on this topic and started working towards a bikini body! I must admit that I’ve been skipping the gym quite a lot lately, but I try to go at least once a week and my favourite thing to do at the gym is the fitness classes! During the past few weeks I’ve tested a couple of new fitness classes in London, which brings a lot of joy and competition into a challenging workout! 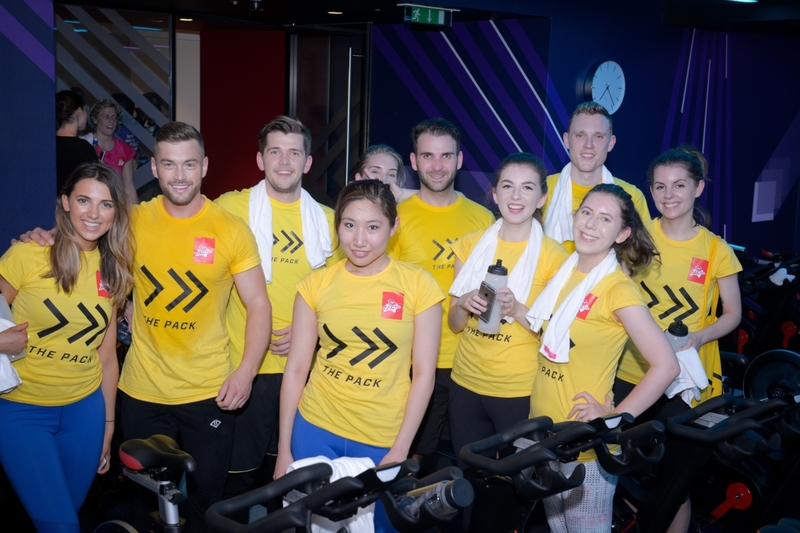 The two new fitness classes in London I recently tried out were Team GB Gym Floor Workout at Fitness First London Bridge Cottons and The Pack at Virgin Active Mayfair! Both of these classes are innovative, extremely fun and they are great to do as a team! I felt challenged, but most important of all I also enjoyed myself during the classes! 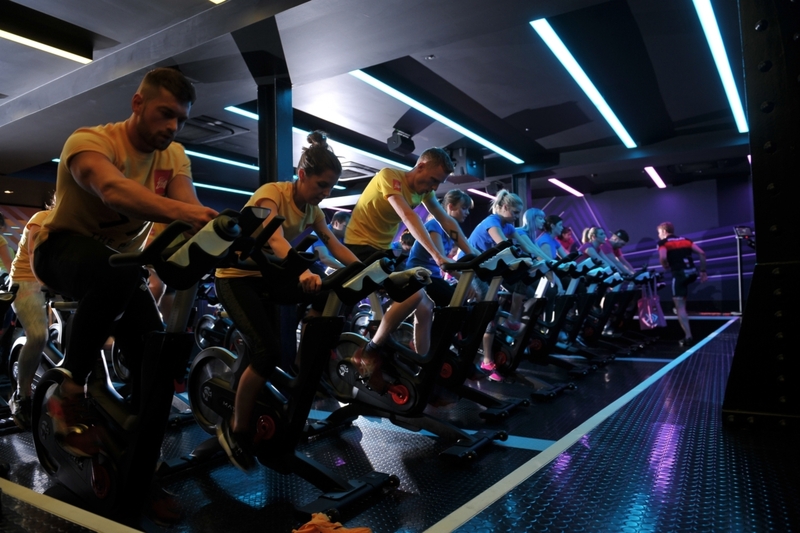 The first fitness class I tried was the Fitness Mashup at Fitness First Cottons, which consisted of four different fitness classes; Team GB Workout, Pro Cycling, Body Pump and Body Balance! 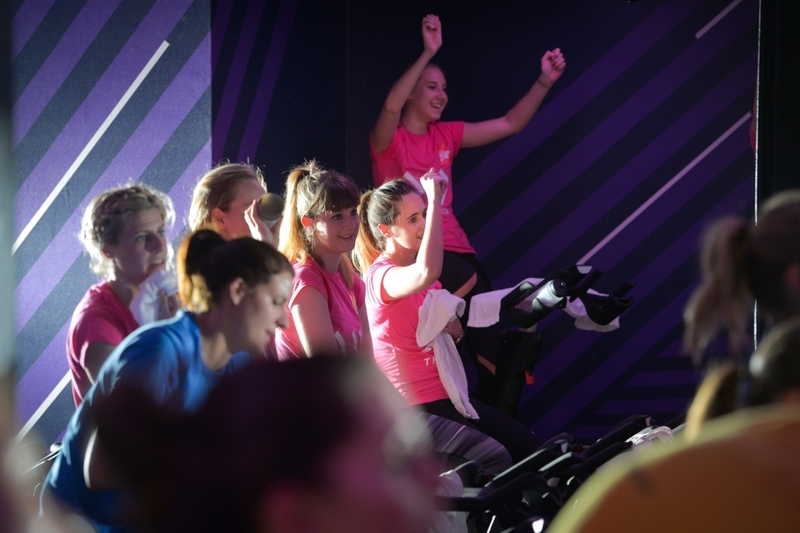 You’re probably familiar with Cycling, Body Pump and Body Balance, but Team GB is a new workout that’s exclusive to Fitness First! London Bridge Cottons gym is a tier 1 gym and it’s very beautiful and spacious! Other than the gym floor, there’s also a swimming pool, a couple of quash courts and a sauna at the gym. In addition, you also have the option to take your training further with their Polar Flow fitness tracker! We got a taster session of the class and I really enjoyed it and it got my heart pumping! The class was really fun and it’s basically a circuit training with different types of sports in mind. If you want to learn more about the workouts, then you can find out more on Fitness First – Team GB. Virgin Active recently introduced a workout called The Pack and it’s currently only exclusive to the Virgin Active Collection gyms. I was lucky to visit the Mayfair gym and try out the new fitness class with a bunch of bloggers. We were divided into three teams; Beauty, Fashion and Foodie! Although I fit into all three categories, I was put into the fashion team lead by Ali Gordon! 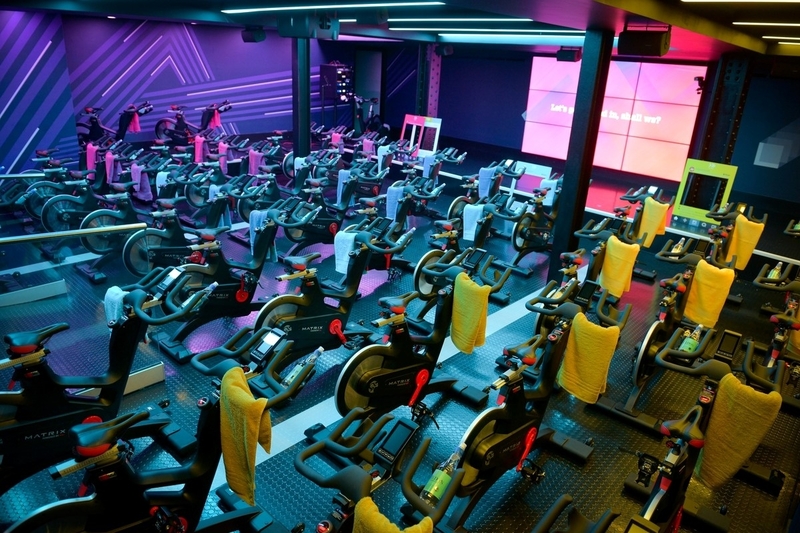 We had a brief look at the gym floor at Virgin Active Mayfair before the class. The interior looks very similar to the tier 1 gyms, but the gym floor is very open and you have a lot of personal space to work out! The changing room is also beautifully decorated and fitted with Molton Brown shower products and GHD styling tools. The Pack uses the latest technology to make the challenging workout fun. The whole workout revolves around getting the highest cumulative power as a team! The power is measured in watts/kg so your output does matter! The Pack challenges we went through were Sumo, Hold The Line, Seed Freaks and Big Burnout! You can read about the challenges on Virgin Active – The Pack. The challenges were really really tough, but we got there in the end! The beauty team lead by Zoe London won The Pack at the end because they won most of the challenges and had the highest watts to kg ratio! 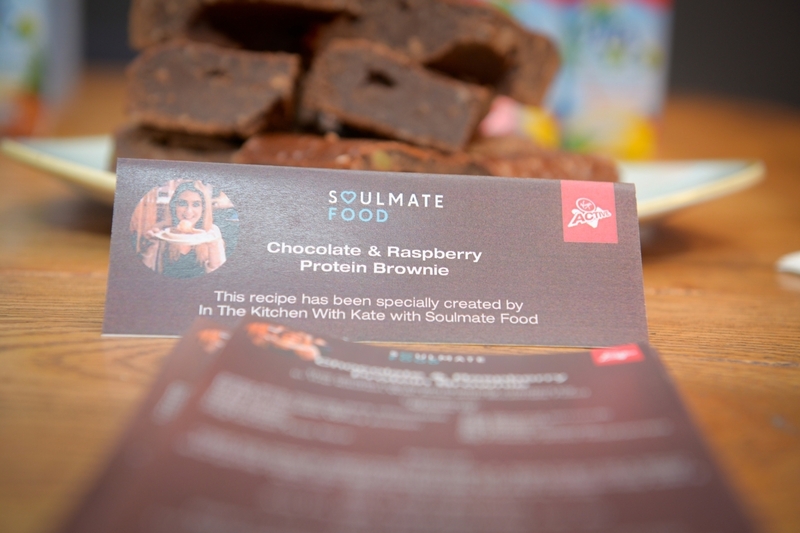 To celebrate completing the exercises, we were treated to a blow dry and some delicious treats that In the Kitchen with Kate made for us. I really enjoyed the new fitness classes in London and would love to do it all over again! It was really fun working out with other people and I came out feeling a lot stronger and happier. In order to get access to these workouts, you’ll need to be a member. 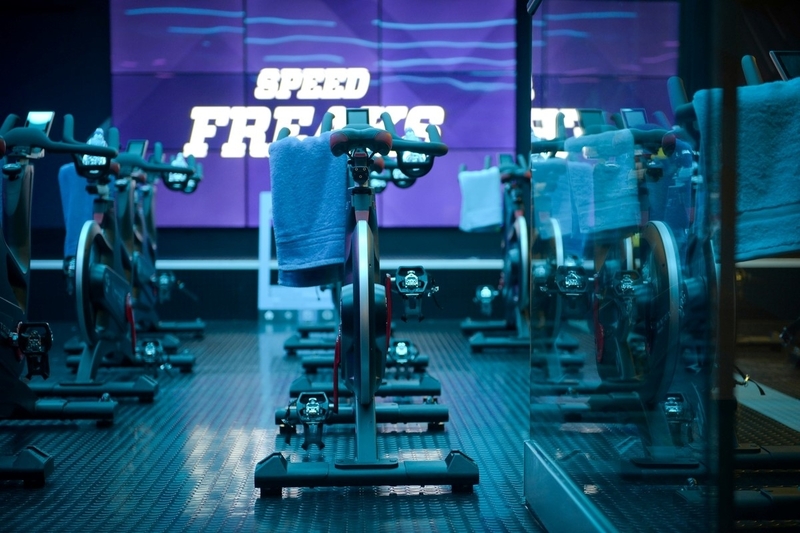 Most Fitness First gyms offer the Team GB Gym Floor Workout, but only the Virgin Active Collection Gyms offer The Pack! 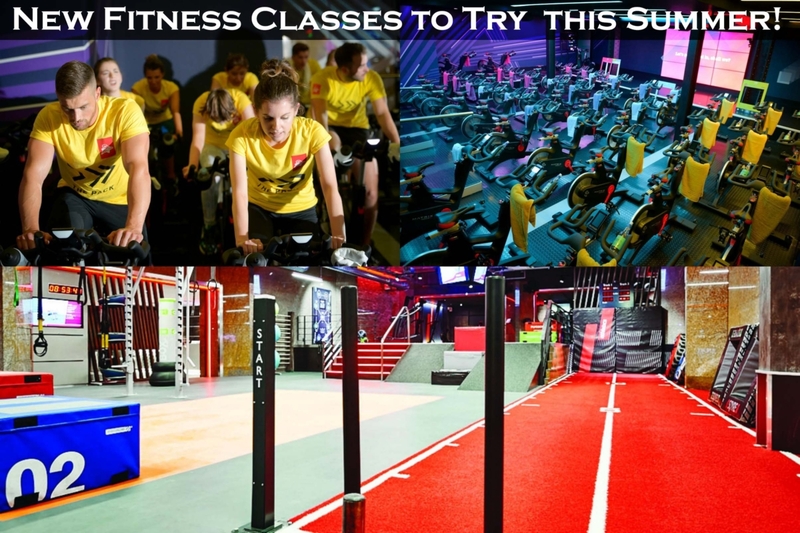 However, if you’re desperate to try out the fitness classes, you can always get a day pass at selected gyms!